Follow us on ​ Social Media! 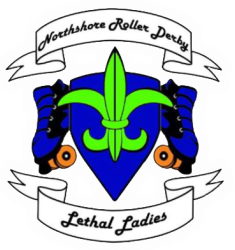 The Northshore Roller Derby League is an opportunity for Southeast Louisiana Ladies to be a part of a sport that has been empowering women since the 1940's. It's Mission is to provide a place for all women to challenge and strengthen themselves physically and mentally through the sisterhood of roller derby, while supporting our community through volunteering and raising money for local charities. Located 6 miles from the Causeway Bridge, 2 miles from Hwy 59 and 5 Miles from Interstate 12! More info about the venue can be found on their website here.